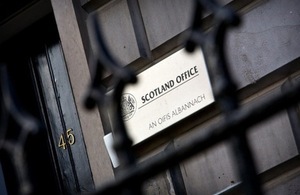 The Departmental Expenditure Limit (DEL) of the Scottish Government for the current financial year will be increased by more than £360m, Scottish Secretary Michael Moore announced today (Wednesday 8 February). Publishing the Supplementary Estimates for 2011-12, Mr Moore said that Holyrood’s capital spending would increase by £221m and resource spending by £140m. Supplementary Estimates is the mechanism whereby the UK Parliament transfers money for the Scottish Parliament to spend on devolved matters. If the Scotland Bill, currently going through the UK Parliament, becomes law then, in future, Holyrood would raise around 35% of the money it spends. almost £16m in lieu of Barnett consequentials to settle the dispute over Olympic spending. “The Scottish Government is benefiting from significant extra resources that have been made available by us in the course of this financial year. Some of this comes from the Barnett formula but a lot is also invested directly in Scotland by the UK Government. The basic state pension increase will benefit 1 million Scottish pensioners. Scottish drivers are being helped by our decision to defer the 3p fuel duty increase planned for January. The Youth Contract will also see the UK Government fund help for young people in Scotland looking for work. “The new Forth Bridge and the Sleeper service are vitally important transport links for Scotland. They are also prime examples of how Scotland’s two governments can work together to better serve the people of Scotland.